Telenor India’s operating loss widened at NOK 368 million in the fourth quarter of 2015, compared with NOK 285 million a year earlier. The Norway-based telecom company’s India unit’s full year operating loss stood at NOK 990 million, against operating profit of NOK 882 in 2014. 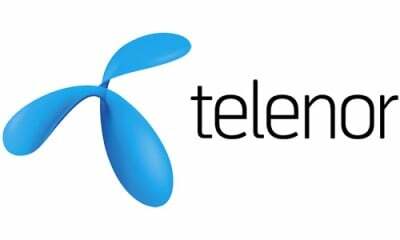 Telenor India’s revenue however increased at NOK 1436 million in the quarter, compared with NOK 1187 million a year earlier. “The mass market approach, effective distribution and efficient operations helped the company maintain its growth trajectory in 2015. The year closed with 16% higher subscriber base than last year and a revenue growth of 9.2% over last year along with EBITDA loss narrowing by almost 90% year-on-year,” Sharad Mehrotra, CEO, Telenor (India) Communications, said in a statement. Telenor’s revenue from subscription and traffic stood at NOK 1234 million, while interconnect revenue reached NOK 191 million in India during the quarter The subscription base went up by 1.8 million during the quarter. At the end 2015, the subscription base was 16% higher than at the end of 2014, the company said. Telenor has over 26.3% of its subscribers accessing Internet, which is a jump of nearly 39% over last year. ARPU in local currency fell by 13% to Rs 88 primarily driven by lower voice consumption and the impact from reduced mobile termination rate, partly compensated by increased data usage. EBITDA before other items stood at NOKA 41 million in the quarter, compared negative EBITDA of NOK 97 million a year earlier. Telenor said that EBITDA was impacted by positive one off items in the quarter, offset by continued activities to promote the new brand following the rebranding from Uninor to Telenor in September. Adjusted for these effects, the underlying EBITDA was slightly positive. The telco’s capital expenditure (CAPEX) stood at NOK 489 million in the quarter, compared to NOK 130 million in the same quarter last year. The telco said that the network modernisation initiated in the third quarter continued in the fourth quarter and impacted the capex for the quarter, as well as accelerated depreciations of current network assets amounting to NOK 181 million. This is expected to continue over the next 12-15 months. Telenor’s network modernization program has also gained momentum and crossed its first milestone of 5000 sites fully modernized with advanced technology. It has deployed Lean GSM solution in 28 cities to increase coverage, reduce congestion and improve Internet speeds on its network. Telenor is among most efficient in their working….they have good team and management. Hope they get 4G spectrum in upcoming 700mhz auction.